Able Moving & Storage provides consistent professional service to our clientele in Prince William County. Able’s professional movers are part of an elite squad that are highly sought out in Prince William County and across the D.C. metro area. Our professional moving services include expert customer service from point A to point B. Professional movers will treat your items with the same respect you would treat them yourself. Whether you’re moving internationally across the ocean or just down the street, we provide a range of services to meet your needs. Learn more about our professional moving services in Prince William County. Able Moving & Storage’s Local Movers are all locals, which means they know the shortcuts during rush hour traffic. Able Moving & Storage drivers are skilled at avoiding narrow roads and find the ultimate unloading areas. Other Prince William County moving companies rely on seasonal laborers that are inexperienced with moving to Prince William County and the surrounding area. Choose Able Moving & Storage for the best customer service and efficient local movers. 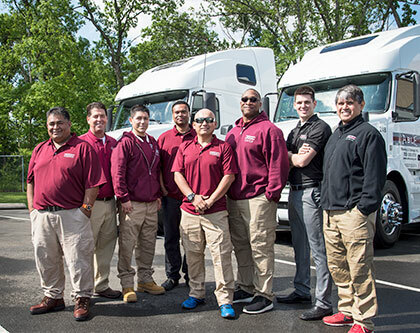 Learn more about our Local Movers in Prince William County. Long Distance Moves can be stressful and intimidating. Not only do you have to deal with the logistics of moving, there is also the strain of leaving behind friends and family, familiar places full of memories, and heartfelt goodbyes. Yet, it could also be a time of joy starting over and creating new adventures. While the transition may take time, let our long distance movers remove some of the burden of packing and moving. With over 20 years experience, Able Moving & Storage prizes customer service, efficiency, and care for your belongings. Learn more about our Long Distance Movers in Prince William County. 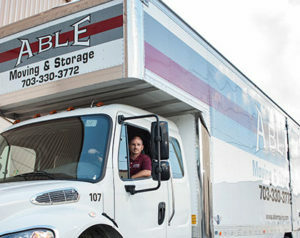 Able Moving & Storage offers the most premier storage service in the Prince William County area. Our affordable rates give you option and we offer bundled moving and storage deals. Able Moving & Storage’s storage facilities are protected by industry standard security. Each Able Moving & Storage facility features 24/7 on-site personnel, computerized access to the facility and security cameras. Our storage services include a unique lock for each storage unit to ensure maximum safety. Every Able Moving & Storage facility is guarded by a barbed wire fence and all nearby trees and bushes are cleared so would be criminals have nowhere to hide. Learn more about our storage services in Prince William County. If you’re looking to move your office or corporation, we have the staff, trucks, and tools to make it happen. Our large trucks mean efficiency and less time going back and forth. Not only that, our movers are incredibly experienced moving large office equipment such as large computer servers, expensive glass conference tables, and full filing cabinets. Based on experience and volume of material moved, Able’s Prince William County office movers can be depended on to protect your equipment and security. And when you use Able Moving & Storage, you’re hiring the safest and most reliable office movers in the Prince William County area. Learn more about our office movers in Prince William County. Able Moving & Storage provides the best top to bottom corporate moving service. It’s a combination of things that make them the superior choice when looking for a corporate moving company. Happy employees, maintained equipment, and moving expertise all come together to make your corporate relocation a stress-free process. Our movers specialize in corporate relocation services with drivers who have knowledge of the area and can take the fastest routes without any risk to your possessions. Our corporate relocation service have some of the largest trucks compared to other local corporate moving companies. This means less trips to haul all your office equipment. Learn more about our Corporate Relocation Services in Prince William County. Able Moving & Storage provides top security commercial storage services. Our storage units are inspected by the Department of Defense and Department of State to meet commercial storage service requirements. For however long you need, we offer the latest in fire and theft protection for your valuable business information and supplies. Learn more about our Commercial Storage for Prince William County. Able Moving & Storage can also help you with your international move. Whether you’re in the military, exploring new career opportunities, or establishing a second home for retirement, we can move you from point A to point B. Have furniture you want in your new home? We can transport it safe and sound. The same goes for clothes, precious figurines, and large computer equipment. Able Moving & Storage is able to provide you with all the international movers you could possibly need. If you’re not going to be able to bring all your furniture to your new international home but our international movers can put some of the more important and larger items in storage for when you return. Able Moving & Storage offers you affordable storage rates on long-term storage for storage units in every size. Trust our international movers of Prince William County have the expertise to take care of your moving logistics. Learn more about our international movers for Prince William County.